The EOS are aimed at all anglers from match carp commercial anglers to specialist and carp anglers. Superb all round specialist freespool reels the EOS are available in two sizes, the smaller 5000 is ideal for shorter rods and lighter specimen fishing whilst the 7000 is more suited to traditional carp tactics and larger specimens including Barbel. Both reels are super smooth with five ball bearings and come supplied with a spare spool. 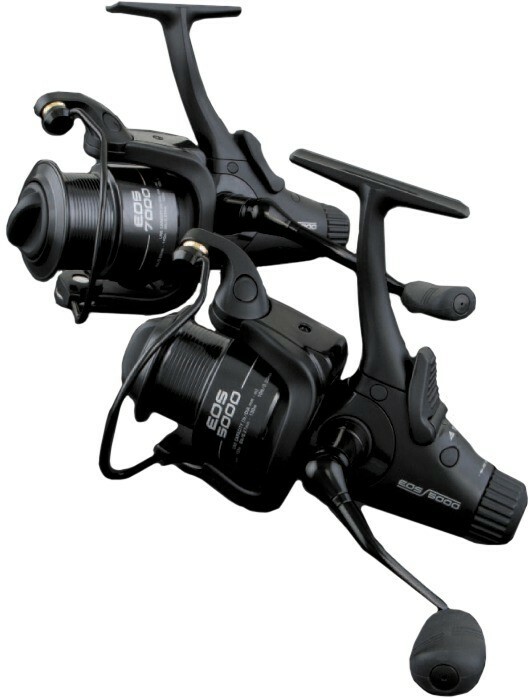 Looking to buy some FOX Carp Reels as part of a fishing gift? If you would like some advice on purchasing FOX Carp Reels, simply contact our expert fishing team, giving us either an email or phone number on which to contact you and we'll get back to you right away with the best advice and prices. FREE Delivery on all Fox FOX Carp Reels over £100!! !